The days leading up to the holidays tend to be among the busiest of the year, with lots of celebrations taking place over a few short weeks. If you’re hosting a holiday celebration of your own, you’re following a national trend. 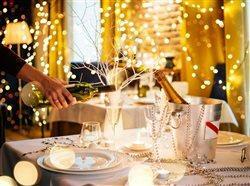 Statista reports some 59 percent of Americans anticipate spending on holiday entertaining this year. That said, it’s important not to let your party planning become so stressful, time consuming or pricey that it interferes with your enjoyment of the season itself. Don’t worry. 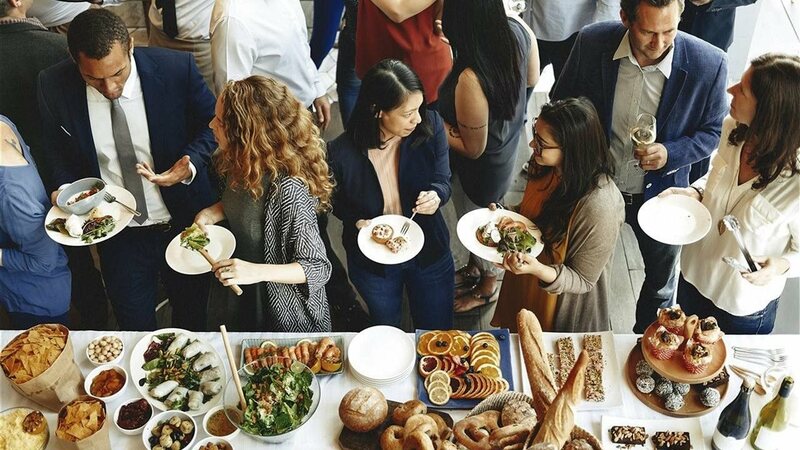 Preparing for a holiday bash doesn’t need to be hugely expensive or overwhelming if you can enlist help for some of the busywork and outsource some of the key elements. Consider the following ideas for bringing friends and family together this year without having to micromanage either your budget or the logistical details. * Enlist a crew of friends and family members to help with the pre-cleaning, prep, cooking, bartending and final clean-up. Many hands make light work, and working toward a common goal can be a fun part of the gathering itself. * Instead of investing in your own serving ware and glassware, simply head to your nearest party rental store and check off all your needed supplies. The result will be far more elegant than opting for disposable paper products, and you need not worry about how and where you’ll store all those pieces afterward. * Worried that your limited furniture collection won’t allow guests to fully relax? Instead of buying something new, think about renting some of the fun, comfortable and design-forward seating groups now available for rental. Today’s options go way beyond traditional folding chairs to encompass cocktail tables, rugs, lighting elements, bars and fully configurable sectionals and lounges, many of which can be used inside or out. * To take your party theme a step further, consider the fun of renting a full-sized backdrop that sets the stage while providing a prime selfie opportunity for your guests. Festive settings range from barns to castles to famous landmarks to cityscapes to breathtaking scenes from nature. * Hire a local caterer for your refreshments, or just contract for an attention-grabbing main course. Keep it simple with a traditional meal or opt for a local specialty. * Simplify the entertainment and/or dance music by creating a party playlist on your smartphone ahead of time, then hooking it up to your own speakers. 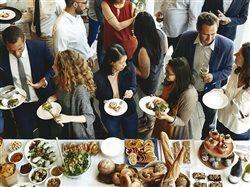 * Finally, don’t discount the idea of holding your party at a restaurant or rented event venue. That saves you from time-consuming preparations and cleanup, shifts the liability elsewhere and lets guests come and go at their discretion. Celebrating the holiday season with friends and family can become cost-effective and hassle-free when you turn to a rental store for help. To find a rental store near you when planning your soiree, visit RentalHQ.com.